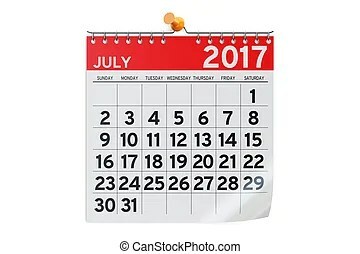 We’re now six months into 2017, Happy July 1st and July 4th weekend! How are those New Years Resolutions coming along? I’ve written a book like I wanted, getting back into my writing. I’ve been eating healthy-as per my Simple Healthy Fresh cookbooks. I’ve divorced, moved and trying to get back into a decent life again. Next is trying to find some friends, head out an enjoy a restaurant, tavern and community happenings. That takes time and energy, as my fellow introverts know. Building back trust takes time as well. I didn’t lose the 35 pounds I had set myself out to lose a few months ago but I did lose 20 pounds then gain 5 back, now at 165. My measurements went from 42x37x39 to 40x35x38. So I lost weight and inches, gained a few pounds of muscle. The BMI charts state my weight for my height, 5’7″, should be between 118-150. That is so unrealistic, as I’m a middle age male, with several health issues. I use the Body Fat Calulator, http://www.calculator.net/body-fat-calculator which is a more healthy alternative. This calculator determined my weight, 165, is realistic for my height of 5’7″. Another helpful body calculator is the Frame Size Calculator, https://www.healthstatus.com/calculate/fsz, which determines if you are small, medium or large. This calculator determined I have a medium size frame, which makes the BMI chart of 118 pounds unrealistic. So before you barrage yourself with insults how ‘fat’ and ‘out of shape’ you are, find out for yourself with these handy calculators. Not everyone can have 6 pack abs or a perfect V-shape. As long as you’re eating mostly plant-based foods, minimal meats and few sweets and carbs, your body will be healthy. As well as doing some type of exercise that makes you sweat for an extended period of time. Drink your water, coffee and tea for that 80 ounces per day. Your body will thank you.